In this assessment, the students will be expected to demonstrate their competency of the elements through observations or demonstrations. The observations and demonstration will be finished as well as the formative and summative assessments. The estimated time for this activity is 15 minutes. Provide an opportunity to the students to analyze business strategy and operational plans to determine human resource requirements. 1. What is the link between operational and strategic plans? Estimated time for this activity is 15 minutes. Provide an opportunity to the students to review external business environment and likely impact on organization’s human resource requirements. 1. What are the main external factors that will influence human resource requirement? Provide an opportunity to the students to an opportunity to consult line and senior managers to identify human resource needs within their area. 1. Why is it important to consult with line and senior managers to identify human resource needs within their area? Provide an opportunity to review organization’s requirements for diversity in the workforce. 1. Name five reasons why following legislative guidelines helps to improve the organization’s profile and provides benefits to the organization. Estimated time for this activity is 40 minutes. 1. Cost-benefit analysis can assist you in determining the options to deliver human resource services. What are you comparing when you calculate the CBA? What benefits can you obtain by calculating the CBA over time? 2. What are the four steps of risk analyses? 3. What is the importance of recommendations and their relevance to groups? 4. What can be the impact if the human resource service options do not comply with legislative requirements and organizational policies? 5. Your role is to deliver induction training to new employees. Following the recommendations of the HR department, you offer to induct staff to your work area. What legislative requirements would you need to know? Provide an opportunity to develop and agree on strategies and action plans for delivery of human resources services. 1. What is consensus decision making? 1. Using the last two questions in Activity 1F, recommend and discuss the documentation that you should use to implement the plan. In your answer include that importance of documenting the roles and responsibilities of the HR team. 2. What is an internal stakeholder? Give three examples. 3. What is an external stakeholder? Give three examples. 4. Give five examples of direct communication. 5. Give five examples of indirect communication. 6. Your organization has decided to reduce the rate of pay for overtime from time and a half to time and a third. It is the HR department’s responsibility to communicate this to the field staff. Select a method, or methods, of communicating this and explain your reasons. 2. Choose one of the service providers chosen above and outline each of the areas that the service agreement should identify. 3. Using the answers that you have provided in this section, make notes on the service level agreements key clauses. Estimated time for this activity is 10 minutes. 1. What is the key importance of duration and communication in this process? 1. What information does the Performance Improvement provide you with? 2. You use an external provider to deliver training to your staff. Is this the only support that they need? Why? Why not? 3. What support is offered to staff within your organization to develop staff? 4. What is the importance of the support programs? 1. What is the importance of monitoring quality assurance in regards to external providers? 2. When you monitor a program, what should you be able to identify? 3. When should quality start to be monitored? 1. When choosing an external provider, what do you need to know? 2. What is a needs assessment? 3. Two staff has completed a needs assessment. The HR manager has identified that they need the training to update their computer skills. 4. Using the information that you have used, put together an outline of what you need to know and make recommendations on how you can do it. Design a questionnaire if you find this easier. 5. Why do you need the external provider? 6. What should you keep in mind when you choose an external provider? 2. Why does underperformance arise? 3. List the steps that you may be required to follow if underperformance arises in your team? 1. According to the Human Resource management performance model what areas should be measured to indicate an appropriate return on investment on HR services? 2. Consider areas that this way of measuring performance may be problematic. 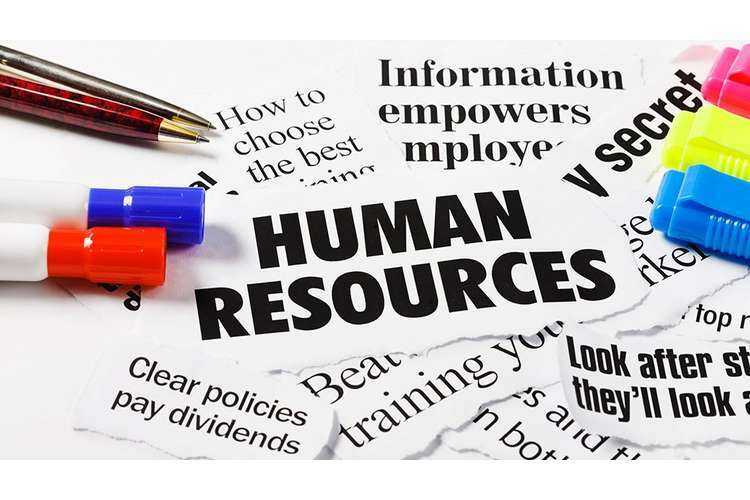 It is vital for HR to ensure that they maintain good databases and that all information is current and relevant, ensuring at all times that data protection legislation is adhered to. 1. What questions should you ask when you are going to develop a survey? 2. How can you control the size of the survey? Why would you need to control the size of the survey? 3. When asking survey questions, what should you not do? 4. What is the difference between verifiable and unverifiable questions? 1. What does feedback measure? 2. List the different types of feedback. 3. What should feedback focus on? 1. You have been asked to review feedback for a recent survey from ten customers. Your organization has two training providers. The feedback for training organization one identifies the seven customers is happy with their provider, one is not and the others are indifferent. You have been asked to review feedback for a recent survey from ten customers. Draw a graph depicting the results. 1. Why is it important to make sure that you obtain the appropriate approvals to variations in service delivery? 2. Why do organizations have paper trails in regards to obtain approvals? 3. What steps do you need to follow to obtain approval to change service delivery in your work area? 1. What role can HR play in organization change? 2. How would you ensure that personal behaviour is consistent and reflects the values of the organization? 1. In your own words, define what a code of conduct is and what you will find in the code of conduct. 1. What is the difference between confidentiality and privacy? 2. How does this apply to the human resources department? Provide an opportunity for the opportunity to deal promptly with unethical behaviour. 1. How should the unethical behaviour be dealt with? 1. How can you ensure that human resource staff understands requirements regarding their ethical behaviour? Provide an opportunity to demonstrate your knowledge of the foundation skills, knowledge evidence, and performance evidence. 5. Explain how you would develop options for the delivery of human resources services that comply with legislative requirements, organizational policies and business goals. 8. Explain how you would identify and rectify underperformance of the human resources team and/or service providers. 9. Develop a process to evaluate the delivery of human resources service including gathering and storing information, determining client satisfaction, analyzing feedback to inform recommended changes, and obtaining approval and support from appropriate managers. 10. Explain the process you would follow to manage the integration of business ethics in human resources practices. Ensure you identify organizational ethics and values, how this is incorporated into human resources policies and practices, and how unethical behaviour is identified and managed. Provide an opportunity to demonstrate your knowledge of the entire unit. Manage integration of business ethics in human resource practices.